This post is a follow-up from the previous one, where I learned all about adding drivers to Karotz. A few months ago, my Karotz friend from the UK contacted me. He changed his WIFI-router, and since then, his Karotz dropped out of the WIFI-network and didn't came back. First I thought this could be caused by the ARP-bug, but it seemed that his Karotz dropped out completely, and the connection was lost, so it seemed to be another bug. This is, of course, not that strange. Karotz is running on older hardware and because routers are running newer protocols, things can go wrong. So, a solution might be upgrading Karotz with a newer WIFI-network-adapter, and that's what we did. 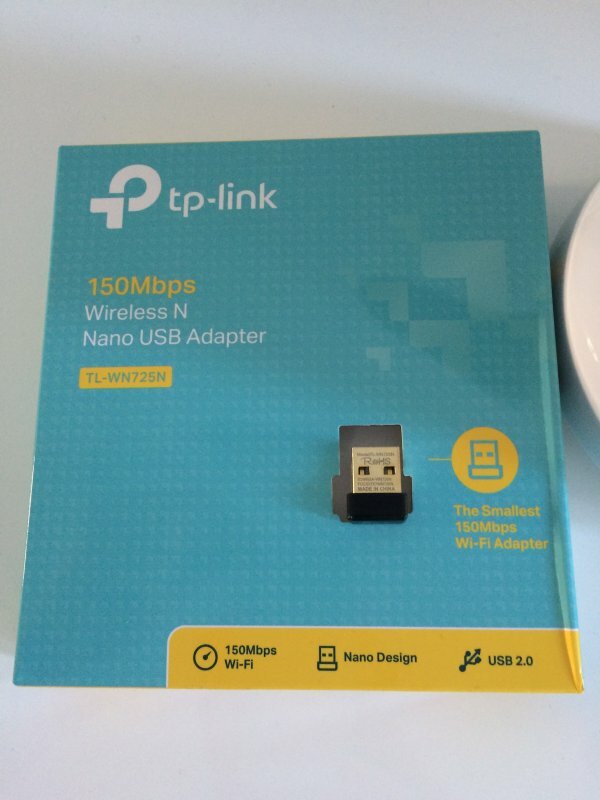 I contacted Slash some time before and asked him if he could create a driver for the TP-Link 150Mbps Wireless N Nano USB Adapter (TL-WN725N). This is a tiny USB adapter to connect a laptop or computer with a USB port to the internet. Slash sent me a driver, and this would finally be the time to test it. Unfortunately, the driver wouldn't load. I contacted Slash again and he cross-compiled a new version, which loaded. After inserting the TP-Link USB Adapter and bringing it up, Karotz was connected to WIFI with its new adapter. This looks good, we have a new WLAN interface called "wlan1". The second command will list the networkinterfaces again, and we will now see an IP-address for wlan1, which is the TP-Link adapter. This will give a warning, which I ignored. I created a network-startup script to use with FROS, our Free Karotz OS. When you put the TP-link driver into /usr/karotz/firmware/, and put the script into /usr/scripts as "waitfornetwork.sh", overwriting the current file, it should connect to WIFI using the TP-Link adapter after boot. Don't forget to change the values in the lines below the comments (line 7-12) with your own network values. 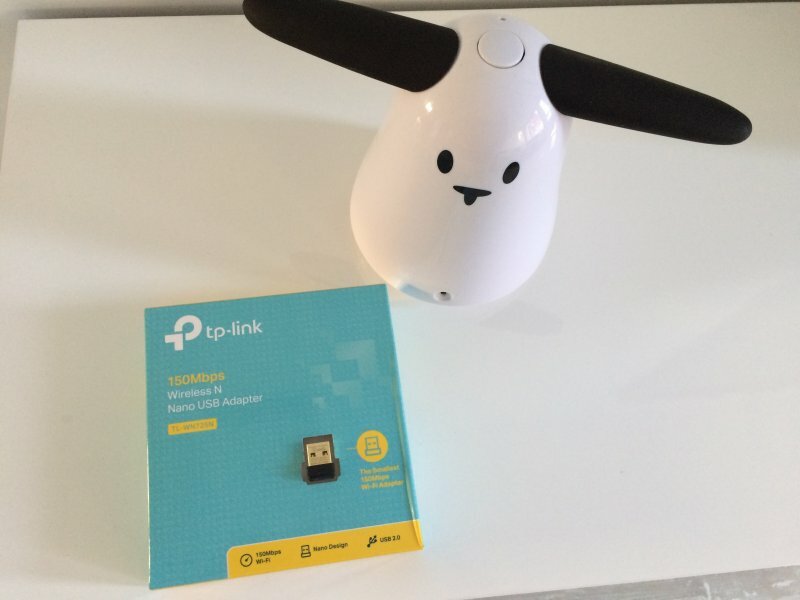 My Karotz friend from the UK also bought the TP-Link adapter and is running happily for a few months now, without network drops. Hope this will also help you connecting your Karotz to newer routers. Tell us all your stories and Karotz-adventures. And of course, many many thanks to Slash for providing the drivers. You can download the driver (8188eu.ko) in a ZIP file from here. 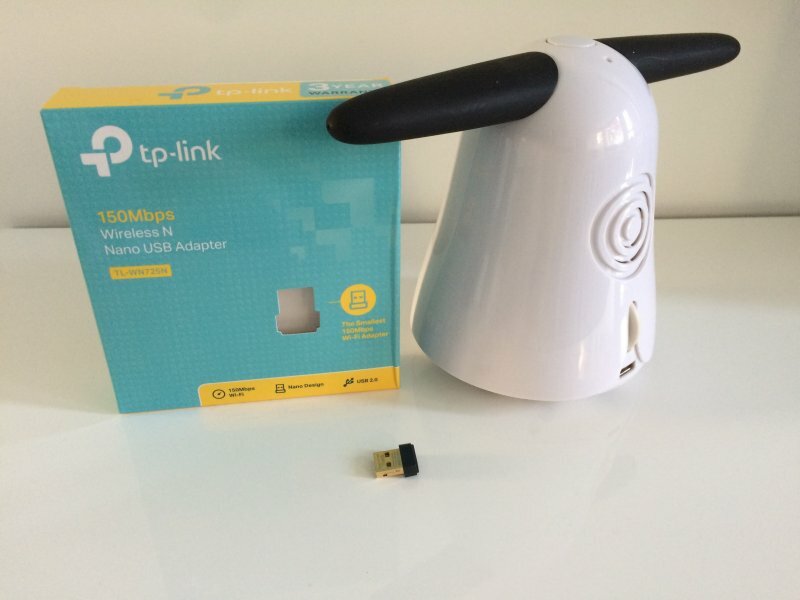 Karotz with the TP-Link WIFI Nano USB Adapter. 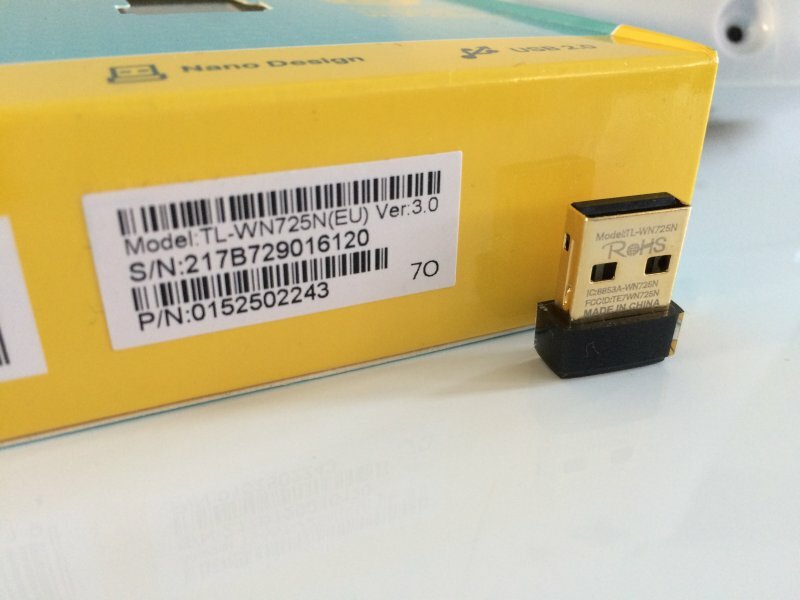 The TL-WN725N WIFI Nano USB Adapter from TP-Link.